Can't be in Times Square for New Year's Eve? No problem! 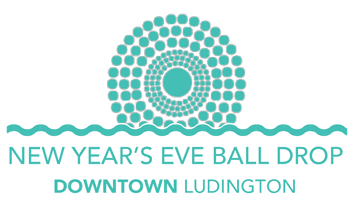 Just head to downtown Ludington for the Lighted Ball Drop at midnight. It's all part of Ludington's Light Up the Lake New Year's Eve event. 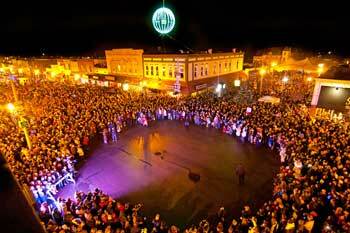 Every year thousands of people gather in the heart of downtown Ludington on New Year's Eve to witness the Ball Drop! 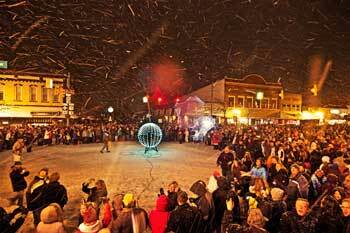 The fun starts early New Year's Eve in downtown Ludington, so bring the entire family and plan to shop for bargains at area merchants and have a meal in one of our fantastic restaurants. Sandcastles Children's Museum Annual Balloon Drop NYE Party from 5pm-8pm, featuring snack food, ice cream sundaes courtesy of House of flavors, conga playing with Thomas Ronquillo, crafts, face painting, and the big balloon drop. Cost is $40.00 per immediate family, or $10.00 per person. Purchase tickets by by emailing sandcastleschildrensmuseum@gmail.com or call and leave message at (231) 233-9326. The Mason County District Library invites families, children and teens to celebrate New Year's Eve with a family party from 7pm-11:30pm. There will be crafts, games, and activities. Free to the public. Entertainment Tent opens at North James Street Plaza, downtown Ludington at 9pm with music by White Rabbit and beverages available for purchase. DJ Dance Party on the street with IOS entertainment. Special menu items and live entertainment throughout the night at establishments in downtown Ludington including Luciano's Ristoranti, Timbers, Table 14, and The Blu Moon Bistro. Fireworks display over downtown Ludington at midnight. Stay tuned for information on New Year's Eve 2019 in Downtown Ludington! On December 31, numerous downtown businesses offer great sales and many of them stay open late at night. And some of Ludington's favorite downtown restaurants have dinner specials for two. Whether you want to wander through our art galleries, browse our specialty stores, or enjoy food and drink at a local restaurant or pub, Ludington welcomes you to come in out of the weather! Follow these links for additional information about Ludington Restaurants and Ludington Specialty Shops. Join the New Year's Eve Fun! It's a one of a kind event...with evening activities beginning at 9pm at the North James Street Plaza in the heart of downtown Ludington. Be sure to check our Coupons Page for discounts and specials offered by Ludington area merchants, restaurants and lodging facilities. Also follow the links below for business listings to help with planning! There are two family-oriented parties scheduled on New Year's Eve. The first one will be at Sandcastles Children's Museum from 5pm-8pm. The other one is being held at the Ludington Library from 7pm-11:30pm...where there will be video games, board games, puzzles, carnival games, crafts, toys...plus hot chocolate, cookies and popcorn. As you can see, there's no shortage of fun for small children on New Year's Eve in Ludington! 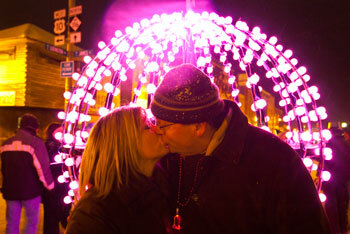 The Ludington New Year's Eve ball is six feet, five inches in diameter and is lit by 6,000 LED lights. It is the biggest ball in West Michigan. There are four different color lights which blink as it's lowered. Employees of GLC Metal Fabricators and Harsco were responsible for making the ball, and Tye Signs did the lights. The ball is truly a community project and something Ludington is very proud of! The festive atmosphere of our northern New Year's Eve is filled with small town friendliness and local charm. You'll feel so enchanted, we bet you will come back year after year. Being up north in Ludington is great even in the winter!